did you find my last post helpful? hope so! anyway! 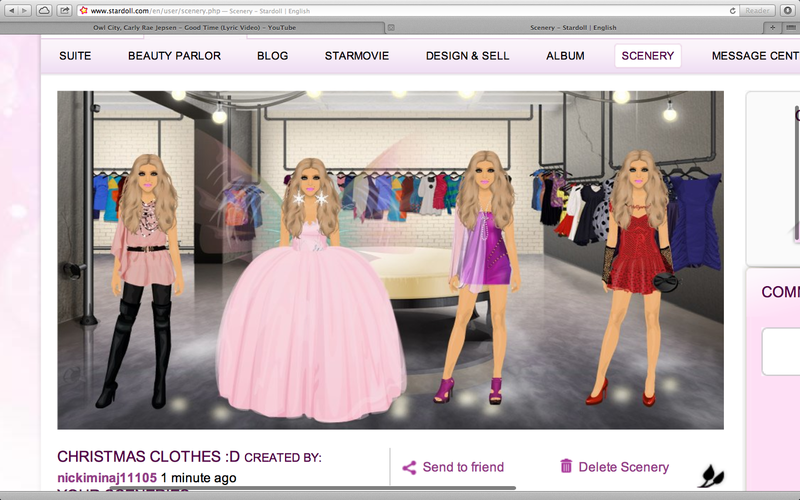 about a year ago i joined the stardoll family and loved it ever since!! my username is nickiminaj11105 add me :D if you dont have stardoll you can easily join here! of course im not being paid to make this post... BUT! i did make some cute christmas outfits for its users!